Boeing outpaced Airbus in the race for orders in the first 5 months of the year, figures from the companies showed this past week. From January to May, Airbus received 81 orders and eight cancellations, leaving a net total of 73. In the same period, Boeing received 139 orders and 28 cancellations for a net total of 111. 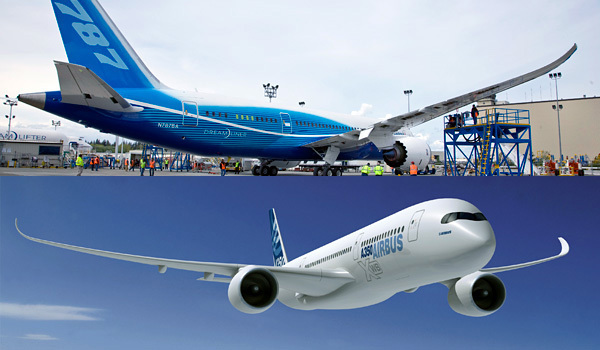 Airbus delivered 206 planes to customers from January to May, while Boeing's deliveries came to 146 by end of April. Airbus aims to win 250 to 300 net orders and to deliver 480 to 500 planes this year.